The map is based on Twitter interactions (both @ mentions and Retweets) between the influencers, and the frequency of these. The large influencer bubbles are influencers who are already in your project, and the smaller bubbles are what we call the 'connectors' - these are influencers not currently in your list, but who are part of the wider community interacting with the influencers you already know. 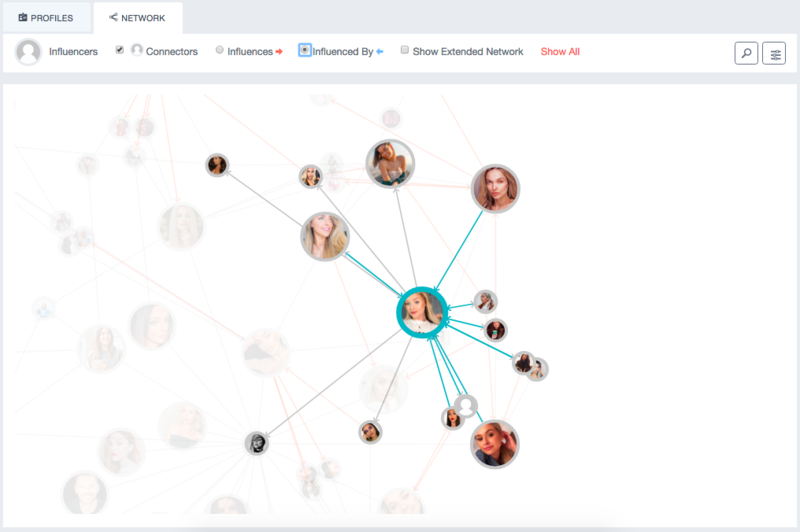 At the top of the map, you can search the influencers by name using the magnifying glass icon, and also filter by various options such as by tag or location. 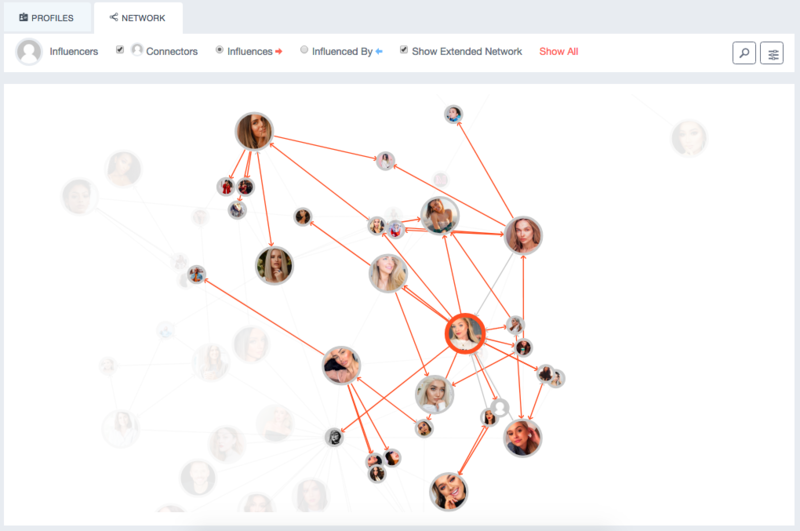 At the bottom of the map on the left, we will show you the "Most engaging influencers", who are the influencers most influencing others (generating most @ mentions and retweets). 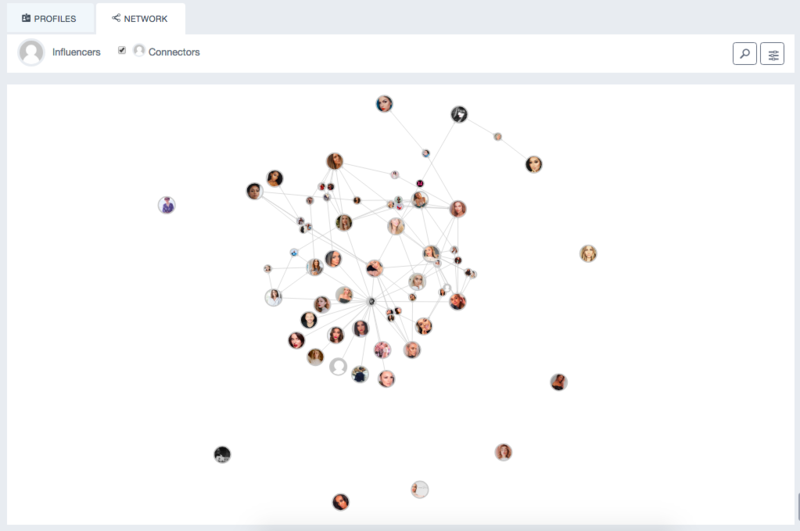 On the right, "Recommended for your project" will show the top connectors, or new influencers we recommend based on how they interact with your current influencers.